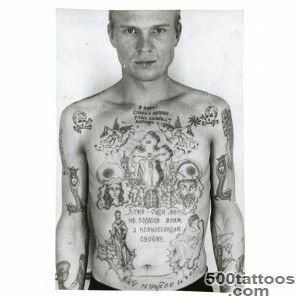 The marks for the prisoners came up with at the time, the Russian government, it was a brand or tattoo prisoners and their significance lay to celebrate a lifetime of Siberian convicts. 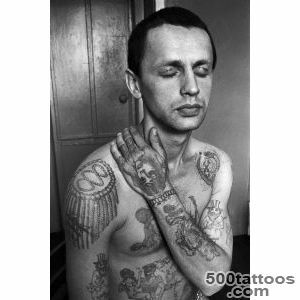 Over time, tattoos prisoners and their meanings have changed, have a new essence and purpose.The value of prison tattoos on the body is not as easy as it seems. 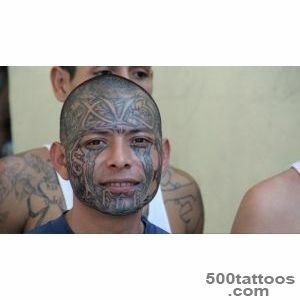 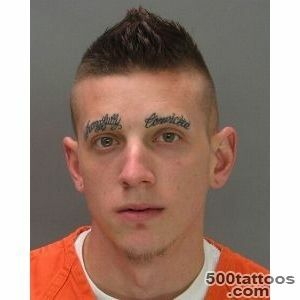 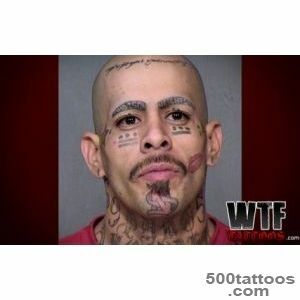 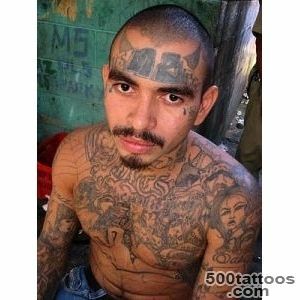 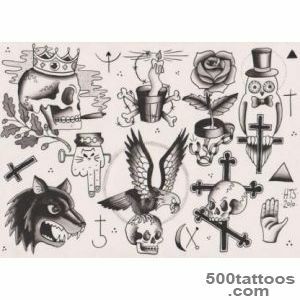 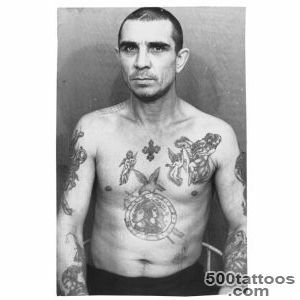 Prison tattoo - a kind of business card of the convict, identity card or passport. 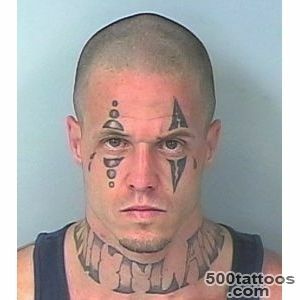 That shows who sat belonging to, or is the owner of the level in the criminal hierarchy. 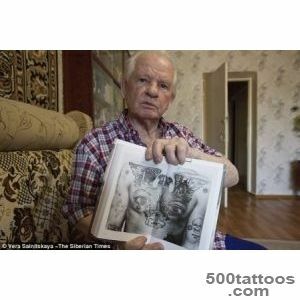 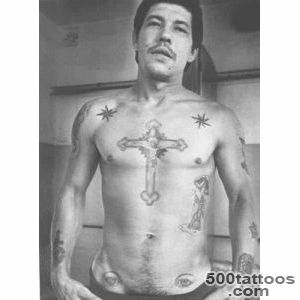 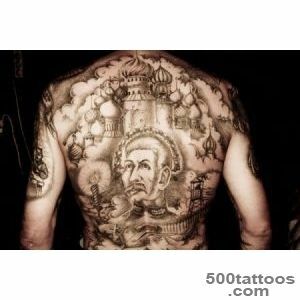 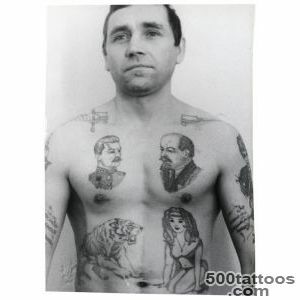 The criminals environment are three types of prison tattoos and their meanings :" Regalki " ( from the word " regalia " - insignia ) - these tattoos are different from the rest of the picture quality and beauty, they perform the master -only worthy, that is, for the "elite" of the criminal world.
" 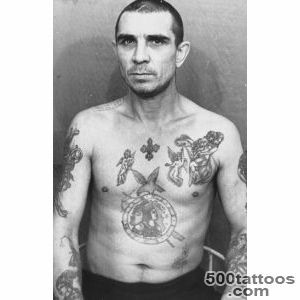 Portachki " ( bungle - Porto) - these tattoos make non-professionals with the help of available funds,they do not always correspond to the position of the convict in the criminal environment and to be removed, often with its support.
" 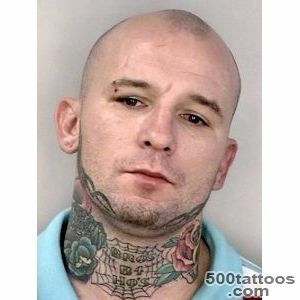 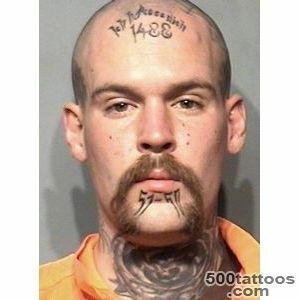 Hussy " (or infamous ) - tattoos that are applied to criminals forced, under threat, or as a punishment for something. 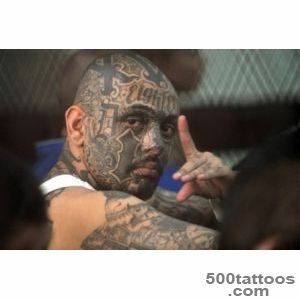 They make the lower strata of the criminal world as a sign of humiliation and shame. 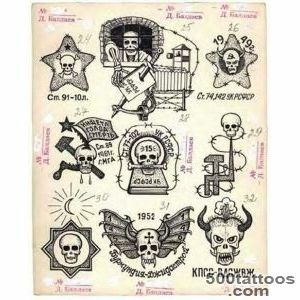 Gaga prison tattoos there,each of them has its special symbolism. 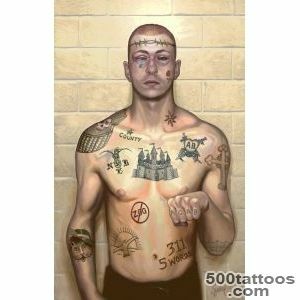 Meaning of tattoos on area specific and clearly defined status and " specialization " of the media. 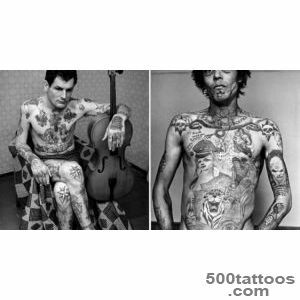 This category combines many types zonovskih tattoos reveal all their beauty and essence.